AUTOSAR (Automotive Open System Architecture) is a standardization initiative of leading automotive manufacturers and suppliers that was founded in 2003. With the rising number of complex functions, the develop­ment of in-vehicle electronics is becoming increasingly broader in scope and more complicated. The idea behind AUTOSAR is to avoid continually re-developing the same or similar software components. The worldwide development partnership has set the goal of establishing an open standard for the system architecture in the automotive industry. Reduced development effort and improved quality are important reasons for introducing a uniform and producer independent system platform. Hardware and software are decoupled from one another to assure such results. The AUTOSAR concept is based on modular components with defined interfaces. The AUTOSAR development partnership has added a new standard to its portfolio which is based on POSIX operating systems: the AUTOSAR Adaptive Platform. The primary motivations for the new platform are autonomous driving, Vehicle-to-X (V2X) applications and the growing external networking of vehicles (Connectivity). In AUTOSAR, the ECU software is classified as basic software (BSW), runtime environment (Rte) and application layer. Basic elements of the AUTOSAR architecture are, among others, formally defined software components (SWC) with clearly specified interfaces to the basic software (BSW) that in turn provide fundamental standard services, such as bus communication, memory management, IO-access, system and diagnostic services. Another basic element is the runtime environment RTE that connects the SWCs with the BSW. The Virtual Functional Bus (VFB) specified by AUTOSAR delivers the conceptual foundation for the communication of SWCs with each other and the use of BSW services. The development of the SWCs is based on the VFB. In this manner, the SWCs are independent of the ECU hardware. This makes them easier to reuse and integrate into different projects on different platforms. The VFB is implemented in a specific vehicle by using a specifically configured RTE together with a suitably configured BSW for each ECU. During system design, the architecture of the functional software is determined. This is done by defining SWCs and their distribution over the ECUs. Network communication is also determined in this step. The result is the system description – an AUTOSAR XML file from which one generates a specific ECU extract of system description for every ECU. During ECU development, the SWCs are designed and implemented and the BSW and RTE are configured. The developer determines the necessary amount of basic software for his project by configuration. In this manner, he can optimize the entire ECU software. The result of the configuration is an ECU Configuration Description (AUTOSAR XML file) that is tuned to the ECU Extract of System Description. Based on the ECU Configuration Description, code generators generate and/or adapt the BSW for the ECU software. The RTE is also created in an ECU-specific manner. This method defined in AUTOSAR significantly simplifies the integration of application software into an ECU. Manual software adjustment becomes unnecessary. Vector provides a field-proven AUTOSAR solution which is tuned to your needs – offering a comprehensive tool range of design and development tools, ECU software and services around AUTOSAR. Depending on the supported OEM you get the Vector AUTOSAR solution MICROSAR for the AUTOSAR releases 4.3, 4.2, 4.1, 4.0 and 3.2. Benefit from a practice-proven and universal tool chain for developing AUTOSAR ECUs. PREEvision PREEvision supports you in creating AUTOSAR-conformant system and software designs. With CANdelaStudio you define the diagnostic specification of your AUTOSAR ECU. DaVinci Developer lets you design or fine-tune the AUTOSAR SWCs of your ECU. vVIRTUALtarget pro Verify the implementation of your AUTOSAR SWCs in a virtual environment on your PC. The basic software modules and the RTE are configured with DaVinci Configurator Pro. Execute the integrated AUTOSAR code on a PC by using vVIRTUALtarget basic as a virtual ECU. TA Tool Suite Tools for the design, simulation, optimization and verification of embedded multi-core realtime systems. This CANoe option provides you access to the internal memory of an AUTOSAR ECU. Use CANoe to test the AUTOSAR ECU and to validate the AUTOSAR network communication. Use CANape to calibrate the parameters of your AUTOSAR ECU. Powerful architectures and increasing standardization enable the integration of software from different suppliers in the ECU. This is the approach of AUTOSAR. This opens up new possibilities for developing software efficiently and designing functions that are distributed across multiple ECUs. With our AUTOSAR services, we support you at every stage of your ECU development. Based on the existing AUTOSAR competence and the desired goals, we plan and implement an individual package of measures together with you. Your advantages: Increasing your development activities and developing AUTOSAR know-how in your organization. Our experienced engineers will be happy to take on part tasks within your ECU project or realize your entire project. Further details can be found in the product information (PDF). 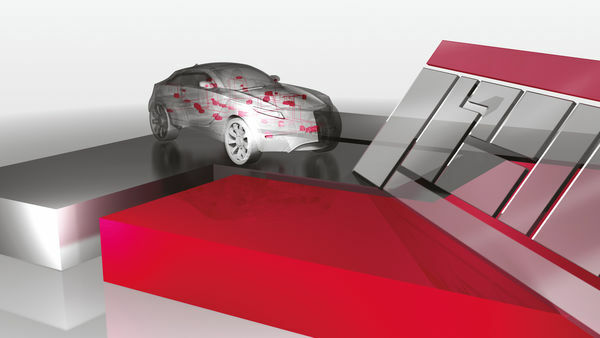 The Vector Academy provides an E-Learning module for AUTOSAR free of charge. It is intended for all persons who wish to acquire an overview of the goals of AUTOSAR. Along with the fundamental AUTOSAR concepts, it also discusses methodology and typical migration scenarios. To support a common understanding of the AUTOSAR software modules, we have compiled all important terms from the AUTOSAR specifications 4.3, 4.2, 4.1 and 4.0 in German and English in this AUTOSAR Glossary.